You can strengthen your elbows with exercise bands, dumbbells, barbells and body-weight exercises. The elbow joint possess two types of movement: flexion-extension -- in which you bend and straighten your arm -- and pronation-supination, in which you turn the palm up and down. To strengthen the elbow, work the joint through a full range of motion while doing your exercises with proper technique. If an activity hurts or doesn't feel right, skip that exercise and proceed to another. If you're rehabilitating after an elbow injury or immobilization, start light and increase the intensity slowly, in gradual increments. 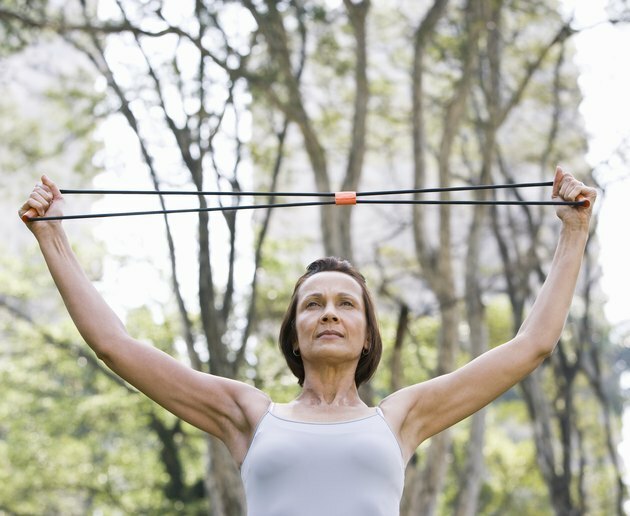 Use exercise bands or cables to strengthen the elbow muscles. Unlike barbells and dumbbells, exercise bands provide resistance through the entire range of an exercise. Bands are a productive starting tool for strengthening the elbow after an injury, or when your range of motion is limited. 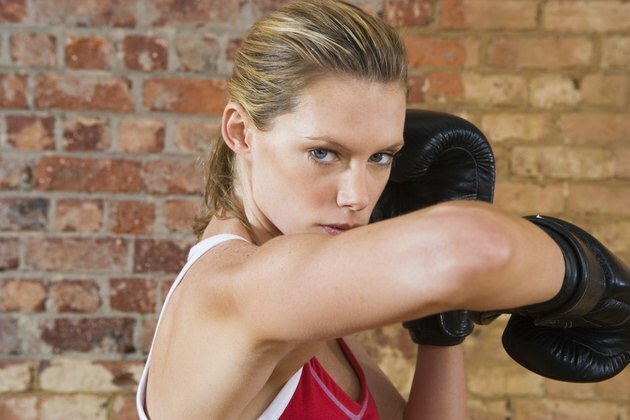 Perform high repetitions of basic exercises through a pain-free range of motion. Resistance band options for your elbows include wrist curls, reverse wrist curls, wrist rotations, thumb-up (radial deviation) wrist curls, hammer curls, biceps curls, reverse biceps curls, triceps extensions and triceps kickbacks. Dumbbells are highly effective in building elbow strength because they can be used for a wide range of exercises for the forearm and upper arm muscles. Dumbbells move in all three planes, thus forcing greater recruitment of the assisting and stabilizing muscles than a barbell or exercise machine. 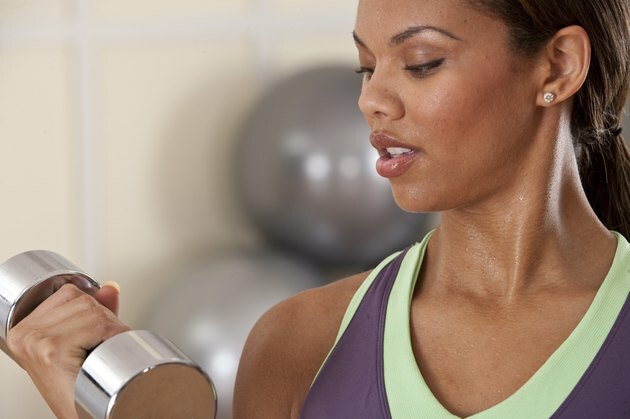 The McKinley Health Center at the University of Illinois recommends a dumbbell workout that includes reverse wrist curls, wrist rotations and thumb-up (radial deviation) wrist curls. Perform three sets of 10 repetitions of each exercise, three days per week with a rest day between training sessions. Use a barbell to perform elbow strengthening exercises such as wrist curls, reverse wrist curls, barbell curls, reverse curls and triceps extensions. Performing two or three sets of five to 12 repetitions twice a week of these basic barbell exercises builds muscle mass and strength. If you're rehabbing an injury, ensure that you have full range of motion in the shoulders, elbows and wrists and equal side-to-side strength before incorporating barbell exercises into your training routine. 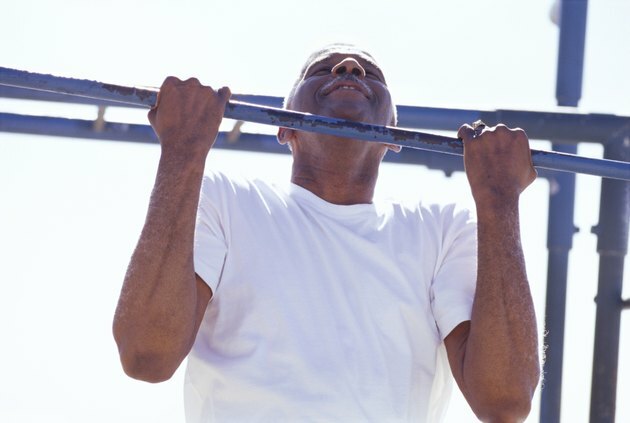 Pullups and pushups can both build elbow strength. Ensure that you have complete range of motion and stability in the entire upper arm before adding these exercises to your elbow workouts. Pullups or chin-ups with varied grips target all the gripping muscles of your forearms, plus all your elbow flexing muscles. Perform as many reps as you can every three or four days. If you cannot perform a large number of repetitions, use bungee straps for assistance or do eccentric, or negative, contractions. Pushups strengthen the triceps muscles in back of the upper arm. Execute three to four sets of 10 to 25 repetitions every three of four days.